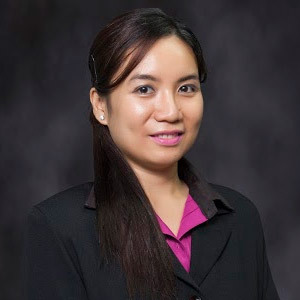 Chona B. Nonato is an Audit Partner of CBIC. She is a Certified Public Accountant, and a graduate of The Philippine School of Business Administration (BS Accountancy). After passing the CPA Board Examination in May 2006, she joined KPMG Laya Mananghaya & Co.’s (now Manabat San Agustin & Co.) Tax and Corporate Services Division in June 2006. She was continuously promoted from the ranks as Senior Associate to Supervising Senior up to August 2010. She has had substantial experience in audit and tax corporate services of companies in different industries. Before joining CBIC, she worked as a bank examiner of the Bangko Sentral ng Pilipinas, under the Supervision and Examination Division where she gained her substantial experience in the audit of banks all over the Philippines for three (3) years. She is currently taking up her Master’s Degree in Business Administration at the Ateneo Graduate School of Business. Copyright © 2019 Cebu Business & Investment Consultants. All rights reserved.